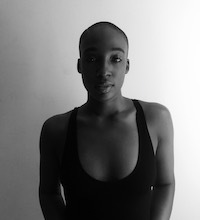 Lisa Sainvil is a professional dancer residing in NY. She’s worked with top choreographers such as Keone & Mari Madrid and has worked on jobs such as Pepsi, Coke, performed with artists like Maluma, Teyana Taylor, Silento etc. Lisa recently performed in Australia with live production “Slumber” (recognized as one of the top shows) at the Fringe Festival – Adelaide also choreographed by Keone & Mari Madrid. She’s currently performing nationally with the iLuminate company. In class, Lisa strives to create a space where her students can reach their full potential by working on building self confidence and creating a sense of community while focusing on the fundamentals of Hip Hop and performance!